PALMDALE, Calif. — When you boil baseball down to the core issue, hitting the ball hard is ground zero. Hard contact is the key on both sides of the ball, hitting and pitching. Pitchers are trying to avoid hard contact while hitters live for that moment of a perfectly hit baseball. That’s where I began with all my research in the early 1990’s, and that’s where MLB baseball is finally heading toward now with the recent love affair with exit velocity and launch angle as the key hitting metrics. But what is the core reason why the hardest contact happens or not, in the case of pitchers? I think if we could ask Warren Spahn what he meant by upsetting timing, his answer would be deception. How can hitters cover all speeds that a pitcher can throw? How can hitters react quicker? Even when hitters maximize their reaction time, the elite pitcher has up to 40 MPH of speed differentials they can throw, and hitters at their most elite reactionary level can only handle about 6-8 MPH of speed change. Hitters can hit pitches with big speed differentials, but when pitch sequences are Effective Velocity (Ev) efficient (in an Ev Pitching Tunnel with 6 MPH between pitches) hard contact is greatly minimized. An Ev Tunnel is when two pitches, usually a fastball and an off speed pitch, start out in the same horizontal and vertical planes together for 20 feet. Then the spins and velocities of these pitches cause the balls to go different directions. If the release point of the pitcher is identical with both pitches, and the ball flight is the same for the first 20 feet, it makes it extremely difficult on a hitter to square up a pitch. This is one of the key elements of deception that we uncovered. Having to react to multiple speed pitches is a core element in hitting. Imagine Tiger Woods at the top of his backswing and suddenly, the ball was moved to a new location. This would force him to react and alter his swing to match the new ball location. Would his swing be as powerful? Would the contact be as solid? Would the ball flight be as accurate? Reacting in mid-swing is the key ingredient in hitting a baseball that is not present in golf, and as you might guess, causes huge issues in hitting a pitched ball at multiple speeds. Having spent over four years as a PGA assistant golf professional after my playing career ended, I learned what created power and consistent contact in the golf swing. Efficient mechanics of the swing is king in golf and it is also why the baseball world is full of 5 o’clock hitters. Guys who rake in batting practice and struggle in games have mastered their body timing but failed at matching it to pitch timing. The true art in hitting is taking the efficient swing mechanic and applying that to the multiple speeds and visual tricks that pitchers are going to throw at you in the name of deception. I tested visual skills of hitters to find out what they could see and when they saw it. I found that hitters of all levels can see pitch direction (up/down/in/out) within 10 feet out of the pitchers hand. Most of the hitters could also see pitch spin from 16-30 feet after delivery. Seeing the spin helps identify the pitch type and therefore the speed of the pitch. If the hitter sees the dot of the slider spin, he knows the pitch is slower than the fastball and could theoretically adjust the timing and hit the ball at maximum exit velocity. While it is true hitters can see spin, there was a weird delay with them calling out the pitch type they saw. This made me believe they really could not adjust to the timing of the pitch in real time. That hypothesis led to an experiment of over 12,000 at bats with amateur hitters to find out. To read more of this in-depth article on deception in pitching, purchase the Oct. 6, 2017 edition of Collegiate Baseball or subscribe by CLICKING HERE. Perry Husband delves deeply into pitching deception as he explains EV Tunnels and why hitters are fooled. He explains what MLB data showed of over 5 million pitches, the Rule of 50/20/20/10 and how softly hit outs and strikeouts happen, how deception has helped teams win national championships in baseball and softball, old school deception and the reality of it when all factors are considered. He also explains why pitcher Keith Foulke of the Red Sox was so successful during the 2004 World Series, why deception has many layers and a breakdown of Yankees’ slugger Aaron Judge when it comes to pitching deception, plus much more. Subscribers to Collegiate Baseball receive the 87-page e-book Secrets of Pitching for FREE! 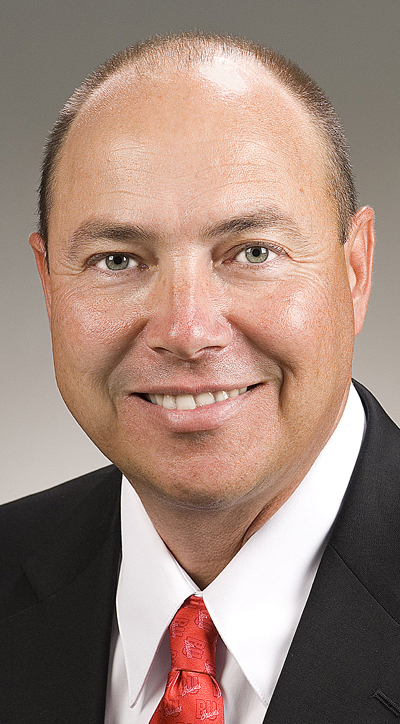 PEORIA, Ill. — Bradley University Head Baseball Coach Elvis Dominguez is living proof that dire situations can ultimately lead to a wonderful life. Born in Cienfuegos, Cuba, he witnessed how brutal the Fidel Castro Communist regime was when thousands had every possession taken away from them, including his loving dad Jose, mom Enoilda and brother Henry. Castro orchestrated the overthrow of Cuban President Fulgencio Batista in 1959. As a young boy, Elvis personally witnessed an execution. “When I was four or five years old, I remember the Communists coming out and executing somebody just because they didn’t follow the doctrine of Communist rule,” said Dominguez. “They made examples of people by doing this. They didn’t care who saw these acts take place, including young children. “Castro took everything away from my family when he came into power,” said Dominguez. “I was born in 1963 which was right after Castro had taken over. My dad was an air traffic controller. As a kid, you had to make a choice. Either you were a communist and were abiding by it or you were not. Those who did not fall in line, everything was taken from them. “My dad made a decision that our family wouldn’t stay in Cuba. He did not want to abide by their laws. By the time I turned five, my father was taken away from my mom, brother and me. Cuba was big into the sugar trade way back then. “So they forced him to cut sugar cane alongside some great lawyers, engineers and doctors who also wanted to leave Cuba. It was like a work camp. “For the next 3 1/2 to four years, I saw my dad once a month. And then he was only able to be with us for a couple of hours. As a kid, you celebrate Christmas in Cuba on January 6 which is called the Epiphany. I remember going up to a counter and having to choose one toy. That is all you were given, and that’s what you could play with for the next 12 months. “It was the same way with food as it was rationed. How much you received depended on how many were in your family. You were given so many pounds of this and that. It was the same way with clothing. We were treated this way because we weren’t Communist. “We had no normal communication on a telephone with friends and relatives. If you wanted to make a call, my mom or dad had to go down to a complex where a person listened as they made a call. “You probably have heard that anything in Cuba that was sent out or shipped in was opened. That was so true. Everyone who was not a communist lived in fear all the time, and that’s what they wanted. “One of the most vivid images I still have is placing bread under water to soften it up to be able to eat. Many times, that was all that was available to eat. Cuban bread when it is freshly made is like an Italian loaf. The outside is really hard and inside is softer. When you let it sit around for days and days, you can essentially bounce Cuban bread off the floor it is so hard. To read more of this article, purchase the Oct. 6, 2017 edition of Collegiate Baseball or subscribe by CLICKING HERE. Subscribers to Collegiate Baseball receive the 87-page e-book Secrets Of Pitching FREE! It is packed with a treasure trove of information. UPPER MARLBORO, Md. — One of the top high school baseball programs in the nation for decades has been Riverdale Baptist located in Upper Marlboro, Md. The Crusaders have won 20 or more games the past 32 years and posted 30 wins on 20 occasions since 1986. Last season, the team rolled to a 30-1 record and finished fourth in Collegiate Baseball’s national high school poll. 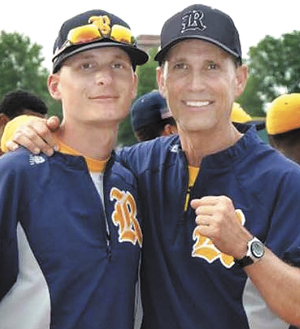 A dynamic coach named Terry Terrill was the skipper for 38 years until his son Ryan took over in 2015. Terry’s record as a head coach was a remarkable 1,008-251 while Ryan is 95-11 in three seasons. This father and son duo has coached together for the past 12 seasons. Riverdale Baptist has had 22 players drafted while hundreds have gone on to play in college. The centerpiece of this program is one of the nation’s most electric running games year in and year out. Over the past three seasons, the Crusaders have stolen 153 bases in 2017, 186 in 2016 and 180 in 2015 for a total of 519 over the past three seasons. Riverdale Baptist has stolen an average of 173 bases during that span with just under five stolen bases per game. Keep in mind they only play an average of 35 games a season which make these numbers even more astounding. Terry said his system for many years has involved being aggressive on the base paths to put intense pressure on opponents. “We work hard on reading pitchers and getting good jumps,” said Terry. “A batter who hits a single is always looking to take the extra base at second with any type of bobble. Once a week, baseball players work with Speed Training Coach Bernard Williams. He is a former USA Olympic Gold Medalist as part of the 4 x 100 relay team during the 2004 Athens Summer Olympic Games. To read more of this article, purchase the Oct. 6, 2017 edition of Collegiate Baseball or subscribe by CLICKING HERE. It features in-depth information on Riverdale Baptist’s aggressive running approach, how their fast paced practices are done, why they are careful with criticism to players, different jumps runners work on and much more. Every person who subscribes to Collegiate Baseball also receives FREE our newest e-book Secrets Of Pitching which is 87 pages filled with great information about pitching. HARTFORD, Conn. — Jerry Weinstein, who has coached baseball for 59 years, has been voted Baseball’s Greatest Scientific Coach by a select panel of coaches. Currently the Head Coach of the Hartford Yard Goats, the AA Eastern League affiliate of the Colorado Rockies, he is in his 11th season with the Rockies’ organization. Weinstein is an American Baseball Coaches Association Hall of Fame skipper who previously coached at Sacramento City College (Calif.) with the second most wins in California Community College baseball history (831-208-12 record over 23 seasons). He also was an assistant coach on the U.S. Olympic baseball teams in 1992 and 1996. Collegiate Baseball asked over 50 coaches in the sports of baseball, football and basketball to recommend a coach who combines science and teaching better than anybody else. The coach with the most votes was Loyola Marymount basketball Head Coach Mike Dunlap who has used numerous science-based techniques and devices in his amazing career, including heart monitors. Dunlap, who was a third baseman years ago for the fabled Alaska Goldpanners, was featured in the Sept. 1, 2017 edition of Collegiate Baseball as he explained in detail how he has utilized the best of every sport to become an elite coach. Weinstein is a 73-year-old dynamo who has coached for 59 years going back to his days as a Little League coach in his youth. His passion every step of the way has been to learn everything he can about techniques, tools and philosophies that will allow his athletes to blossom to their potential and beyond. Tapping science at every step along the way has been instrumental to this marvelous coach. The value of sensory deprivation in teaching pitchers. In 1976, he started using a RA-GUN made by Decatur Electronics. This radar gun, which typically was used by law enforcement officers to nab speeders, gave Weinstein a big edge in tracking arm strength with pitchers. While radar guns are common today, plenty of baseball people at the time thought Weinstein had lost his mind. Strobe Spex glasses. These strobe light glasses were initially used in football to refine the vision of quarterbacks and receivers. But Weinstein discovered this technology could improve the focus of his hitters, fielders and catchers and also force athletes to pick up the ball earlier. It became a fabulous vision training tool. Powerful stat tracking software such as Inside Edge that is used by Major League Baseball organizations. Early in his career, he began using video technology to find out what his players do biomechanically and how they can improve. His use of this technology has evolved much more over the years. He was on the cutting edge of mental training for baseball players at Sacramento City College in the 1980s as he utilized Psycho-Cybernetics written by Dr. Maxwell Maltz as well as The Inner Game Of Tennis by Tim Gallwey. Since that time, he has utilized the works of Harvey Dorfman, Dr. Ken Ravizza and Tom Hanson. 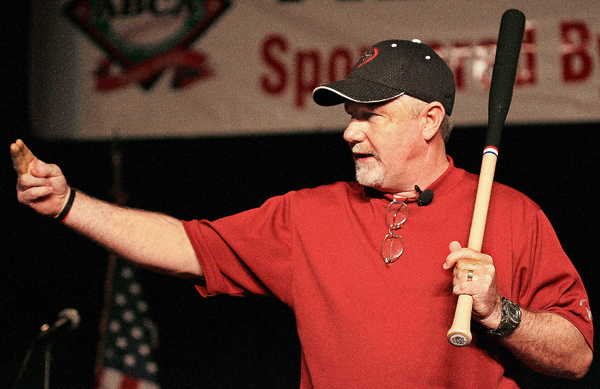 He started using weighted balls for his pitchers in the 1960s and refined his training techniques over the years with science-based work done by others. Research showed the danger of long distance running for pitchers and why sprints have proven to be better for hip mobility and power. Weinstein was on the ground floor of learning Effective Velocity from Perry Husband’s 10-year research project. “I have been an information junkie my entire life,” said Weinstein. “I spend a lot of time on the internet looking for things that will allow me to grow. There is a lot of great information out there. “I have one cylinder. I’m not a golfer or anything other than a husband/family guy who also is a baseball guy. Weinstein has always felt the man with the most information wins if he uses it wisely and creates what he calls “simplexity” as you take the complex and try to make it simple for athletes. To read more of this in-depth article, purchase the Oct. 6, 2017 edition of Collegiate Baseball or subscribe by CLICKING HERE. The rest of the article includes all the amazing tools he has utilized in his career and progressive ideas. He explains what he learned studying John Wooden’s practices when he was coaching the freshmen baseball team at UCLA while working on his Master’s Degree. Weinstein explains how he began using weighted balls in 1968, why practices must be better than they currently are, especially in the hitting area. He delves into why a stop watch or LED clock on the field must be utilized for infield practice. 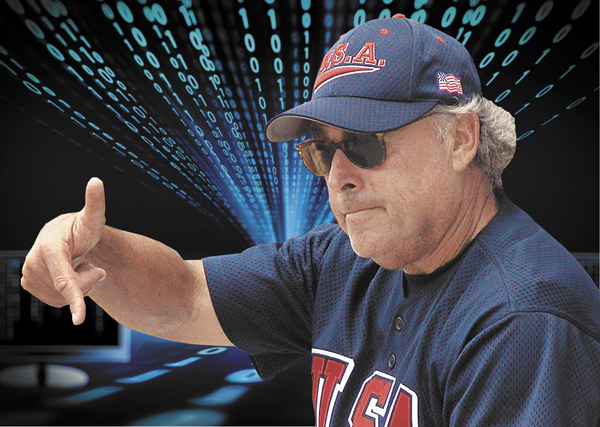 He has utilized some amazing books to become a better coach, including Percentage Baseball, and used tools such as Strobe Spex glasses to increase player focus and force them to get earlier visual information. He also explains what he learned with strength training, video analysis, the art of teaching, the science of catching, pitching and hitting, effective velocity, important statistics and the mental game. TUCSON, Ariz. — Vanderbilt landed the No. 1 recruiting class in the nation, according to Collegiate Baseball’s 2017 evaluation of NCAA Division I baseball classes. It marks the Commodores’ second national recruiting title by Collegiate Baseball after landing the No. 1 class in 2012. Seven of the top 10 teams are from the Southeastern Conference. It marks the eighth time in the last nine years that an SEC team has won the recruiting championship. It is the 35th straight year Collegiate Baseball has evaluated NCAA Division I recruiting classes. Athletes who initially signed letters of intent with a school, but then signed a pro contract after being drafted, do not count in the overall evaluation. Only athletes who came to school this fall are factored in as points are awarded to drafted players and the round they are chosen, All-Americans, All-State selections and All-Conference picks. Collegiate Baseball also gives points for Conference Players of The Year, State Players of The Year and National Players of The Year. The Commodores landed a star-studded class of 17 freshmen with five players drafted last June. Ten of the 17 players are high profile pitchers. LHP Jake Eder (Calvary Christian, Ft. Lauderdale, FL), 34th round Mets. SS Austin Martin (Trinity Christian, Jacksonville, FL), 37th round Indians. CF Pat Demarco (Winder-Barrow, Winder, GA), 24th round Yankees. CF Cooper Davis (St. Aloysius Gonzaga, Mississauga, Ontario, Can. ), 25th round Blue Jays. RHP Tyler Brown (Olentangy Orange, Lewis Center, OH), 26th round Reds. C Philip Clarke (Christ Presbyterian Academy, Nashville, TN), All-American. 3B Garrett Blaylock (T.C. Roberson, Asheville, NC), All-State. INF Jayson Gonzalez (Bishop Amat, La Puente, CA), All-American. LHP Hugh Fisher (Briarcrest Christian, Eads, TN), All-State. RHP Aaron Brown (Mt. Juliet, TN H.S. ), All-State. C Tyler Solomon (Battlefield, Haymarket, VA), All-State. RHP David Bates (Christ Presbyterian Academy, Nashville, TN), All-State. LHP Joe Gobillot (St. John’s H.S., Houston, TX). RHP Justin Willis (Memorial H.S., West New York, NJ). RHP Mason Hickman (Pope John Paul II H.S., Hendersonville, TN). RHP Corbin Brooksbank (McCallie School, Signal Mountain, TN). “It is the first time in years we were able to keep our entire draft class intact,” said Vanderbilt Associate Head Coach/Pitching Coach Scott Brown. “You never believe that you will land every single player you went after, but this is what happened with this class,” said Brown. Every single pitcher throws in the low 90s to 98 mph with their fastballs and are huge physical specimens. A complete rundown on the top 25 recruiting classes is featured in the Oct. 6 issue of Collegiate Baseball. To purchase a copy or subscribe, CLICK HERE. Other Top Recruiting Classes: Minnesota, San Diego, Texas Tech., Rice, N.C. Wilmington, Memphis, Nevada, Mississippi, Baylor, Iowa, Louisiana-Lafayette, Washington, Missouri St., Hawaii, California, Dallas Baptist, Utah, Kansas, Winthrop, Duke, Southern Mississippi, Indiana, Cal Poly, Houston, U.C. Irvine, Middle Tennessee St., N.C. State, Ohio St., Kennesaw St., Georgia Southern, Sam Houston St., Alabama, Washington St., Wake Forest, Tulane, Marshall, Oral Roberts, St. Mary’s, Florida Gulf Coast, Creighton, Fresno St., Gonzaga, Bryant, Loyola Marymount, Missouri, Virginia Tech., Butler, Western Kentucky, Tennessee, St. John’s, Seton Hall, Florida Atlantic, Wichita St., Pepperdine, Kent St., Central Michigan, Ball St., Long Beach St., Western Michigan, Texas St., Nebraska, College of Charleston, Notre Dame, West Virginia, Stony Brook, Connecticut, Brigham Young, Grand Canyon, Seattle. INDIANAPOLIS, Ind. — The NCAA Playing Rules Oversight Panel approved in-season bat testing for all NCAA baseball schools. Starting in 2020, NCAA Division I schools will be required to have bat testing during the season. NCAA Division II and III institutions will be required to start bat testing beginning with the 2021 season. The NCAA Baseball Rules Committee previously recommended that bat testing take during the season to eliminate illegal, doctored bats. The reason for the 1-year delay for NCAA Division II and III schools is to give those institutions time to purchase equipment to conduct testing which currently costs around $1,400. Bats will be tested before the first game of every series, or mid-week single game, to ensure they are legal and haven’t been tampered with. Then special tamper proof stickers will be placed on those bats. Thanks to successful experimental bat testing by the Southeastern Conference the past three seasons and the Missouri Valley Conference in 2017, a substantial body of evidence is now in place which virtually eliminates bat tampering with these testing devices. After bats were tested prior to every SEC and Missouri Valley Conference game last season, special tamper proof stickers were put on bats that made them legal for that series. Once the next conference series was set to begin, a new round of testing took place as approved bats were given new stickers with different colors. Bat testing is already taking place during the post-season NCAA playoffs in each division. During a 2017 NCAA Rules presentation for NCAA Division I, II and III coaches at last January’s American Baseball Coaches Association Convention in Anaheim, Calif., Elvis Dominguez, chairman of the NCAA Baseball Rules Committee, said that an unusually high number of people reported illegal bats being used during the 2016 season which alarmed the Rules Committee. “I was on the NCAA Rules Committee back in 2008 when we began formulating plans to use the current BBCOR specification bats on the market,” said Dominguez. 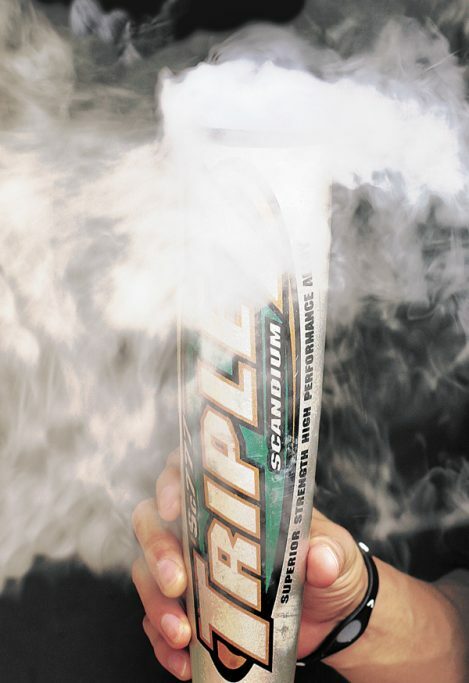 “Once the regulations went into effect for these bats, we thought the problem of high performance bats was over. But during the 2016 season, the Rules Committee got more calls than we ever expected on players utilizing illegal bats that had been rolled or had the barrels shaved for more trampoline effect. “In some cases, you were seeing 6-7 batters from the same team using the exact same bat which is a telltale sign that an illegal bat was being used. “When we got to the College World Series where bat testing is utilized, a number of bats (20) did not pass and were taken out of play before the CWS started. “The biggest concern we have is that bats are being rolled,” said George Drouches, NCAA National Coordinator of Umpires. Bat rolling is a process that can add significant pop and distance to a baseball bat. By rolling a bat illegally, unethical people enjoy the bat’s maximum potential from the very first swing without putting all the wear and tear on it. The bat is placed between two rollers and then pressure is applied so that as the bat passes through the rollers as the bat’s fibers are stretched out. This causes the fibers to become more flexible which greatly improves the bat’s trampoline effect when balls hit the barrel resulting in increased batted ball speed and distance. It will make the sweet spot bigger and much more consistent as well. To read more of this story, purchase the Oct. 6, 2017 edition of Collegiate Baseball or subscribe by CLICKING HERE.